Bring the relaxation of the spa to your home with Luxury Bath Texoma's exclusive line of whirlpool tubs! Providing premier spa tub & whirlpool bath product sales with certified, professional installation throughout north Texas and southwest Oklahoma. Pamper yourself with the best in style and luxury with a spa or whirlpool tub! Featuring exclusive designs and exceptional construction, our professional installers can get you set up with an in-home spa experience in as little as two days! After a long day of work, nothing beats sinking into the relaxing waters of a whirlpool bathtub. Treat yourself to luxury by having Luxury Bath Texoma remodel your master bath with one of our innovative spa tubs! After 15 minutes in one of our whirlpool tubs, you are guaranteed to emerge refreshed and energized! 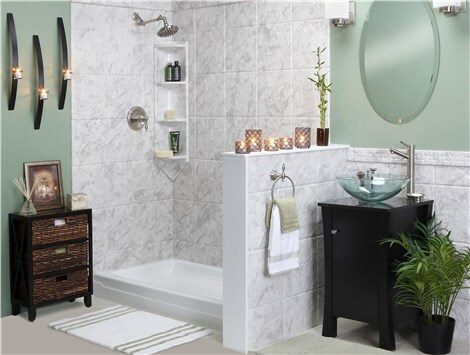 Luxury Bath Texoma offers several styles of spa bathtubs that can take your home’s bathroom from simple to luxurious. Whether you have an existing shower to replace or tub to update, we offer the products and services you need to create a luxurious spa retreat. Take your bath-time vision from dreams to reality by choosing one of our innovative jetted tubs today! 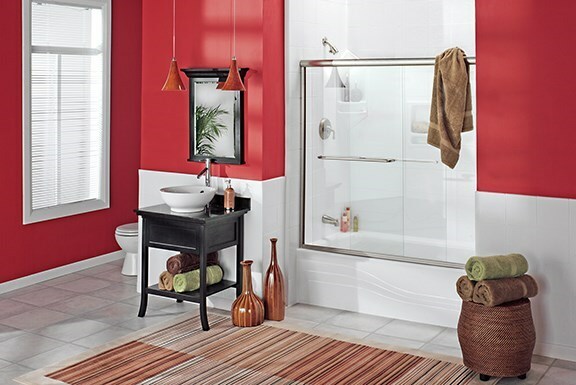 Shower-to-Tub Conversion – Change up the look of your outdated standing shower by converting it to a stylish new spa tub! Bathtub Surrounds – With 10 color options and eight tile patterns, we can help you choose the perfect bathtub surround to complete the look of your whirlpool bath. Fixtures and Hardware – When you are looking for the perfect finishing touch to enhance your new spa bathtub, we offer an expansive selection of fixtures and hardware choices. Each of our eco-friendly whirlpool tubs is custom constructed to ensure a perfect fit during your no-mess, efficient installation.